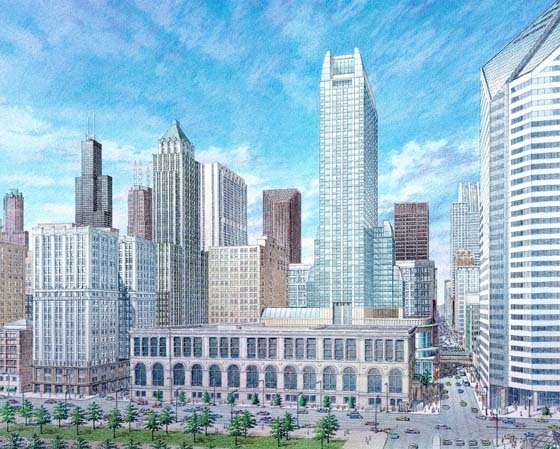 This 550-foot tall luxury residential tower was to designed overlook Grant Park and the lakefront. The mixed-use character of the area is blended into the design. It is located at the nexus of the Wabash/State Street Retail District and the newly developed Randolph Street Theater & Entertainment District. The three levels of retail coupled with three state-of- the-art 'Festival Programmed' cinemas are capable of attracting over a million visitors to the site and the adjacent retail district each year.